In your new home at Brookmont Apartment Homes in the Bustetown District of Northeast Philadelphia, you’ll be pleasantly surprised with the thoughtful detail put into each apartment home and the community we live in. Enjoy the comforts of home in a one or two bedroom floor plan, each with fully equipped kitchens and generous closet and living spaces. 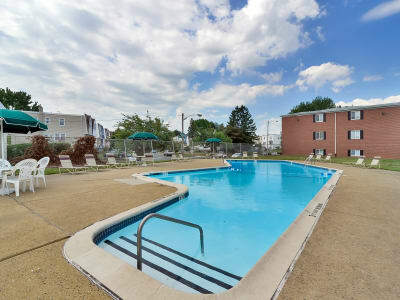 Outside of your home, enjoy a refreshing dip in the community swimming pool, soak up the sun on the sundeck, and take your pup to the onsite dog park for an afternoon of play. Whatever it is you desire, welcome home to Brookmont Apartment Homes. We can’t wait to meet our newest resident at Brookmont Apartment Homes. Call us today, we’re happy to answer any questions you may have.